Battle of Givenchy (December 18-December 22, 1914) was a battle fought during World War I as part of the First Battle of Champagne, that saw an initially advancing British force face strong opposition and counter-attack from a solidly entrenched German force around the village of Givenchy. 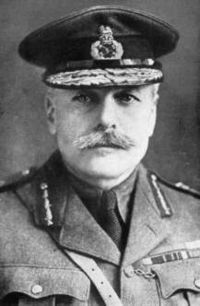 With the French under heavy pressure at Arras the order was given that the British force would provide relief by attacking the Germans around Givenchy, thus preventing German reinforcement of Arras from that quarter. Sharp fighting broke out on 19 December when Indian troops from the Lahore division launched an attack, successfully capturing two lines of German trenches. However their success was short-lived: a prompt and aggressive counter-action pushed the Indian troops back out again. The following day the British force was caught somewhat by surprise by a heavy attack launched by the now reinforced Germans around Givenchy. The force of the German attack was clearly focused against the trenches held by the same Indian troops who had initiated operations on the previous day. Defensive tactics were severely hampered by the conditions of the Indian trenches, heavily waterlogged as they were. Consequently the German force broke through and managed to occupy part of Givenchy until two British reserve battalions were brought into action, with the result that the village was back in British hands by the close of 20 December. 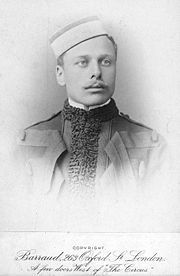 Nevertheless the German counter-attacks continued and several salients were driven into the British line until reinforcements from First Army were brought up by Douglas Haig the following day. With the fresh influx of men - relieving the Indian division - the line was restored to its original position. Thus fighting died down on 22 December with the opposing lines where they had started. British casualties ran at twice those of the German force: 4,000 against 2,000.